Join us for the May MKEfoodies installment of wild fun at The Rumpus Room! We will take over the charcuterie lounge and bar area to sample some delicious gastropub food. Please use #MKEfoodiesRumpus in your tweets about this event! 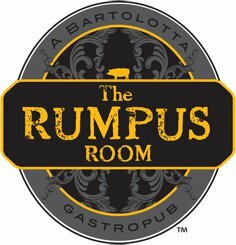 The Rumpus Room's atypical pub menu, lead by Executive Chef Andrew Ruiz, combine options with unique flavors and custom preparations using locally sourced meats, cheeses and house-made ingredients. Featured items include Wisconsin cheeses, fresh charcuterie, braised bone marrow with crispy sweetbread, Carr Valley beer cheese soup, Strauss veal meatloaf and classic fish & chips.